Prior to co-founding Air2, LLC in September of 1998, Mr. Camus served six years in the US Army. Four of those years were spent in the former West Germany as a helicopter pilot. After separating from the service, Mr. Camus spent 13 years working for numerous Electrical Utilities in the US and abroad developing flight techniques, and training pilots to fly in a new area of operations for helicopters; energized power lines with a lineman seated on an external platform attached to the helicopter. 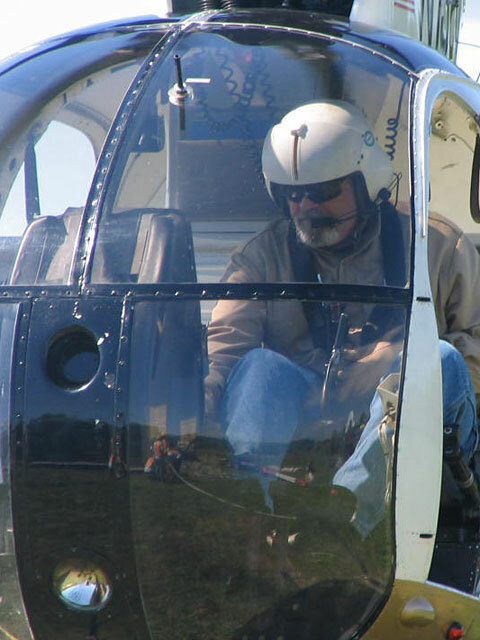 Mr. Camus has over 34 years of civil and military aviation experience and holds FAA Airline Transport Pilot and Flight Instructor certificates as well as a Canadian Commercial helicopter pilot certificate. He has accumulated over 14,000 total flight hours of which 12,500 hours have been flown entirely for electric utility transmission line inspection, maintenance and construction. Mr. Camus pioneered many of the flight techniques used today with an external lineman working from a helicopter work platform on both energized and de-energized EHV transmission lines. He was the second pilot in the world to ever energize a helicopter with a work platform and lineman at 500,000 volts. He also wrote the industry’s very first flight training manual for this specialized application, and has authored Air2’s own manuals for training, safety, and FAA requirements for external load operations. Mr. Camus has trained many of the pilots in this industry and other companies abroad in the specialized areas of helicopter platform flight techniques, insulator washing, and vertical reference sling load operations. He has worked closely with FAA offices nationwide on regulatory issues pertaining to operations, certification, and compliance. Mr. Camus continues to determine project feasibility, and establishes procedure for new applications, as well as train new pilots and flies jobs on an as-needed basis. Mr. Camus is the inventor of U.S. Patent Number 5,072,895 pertaining to a helicopter platform design that is exclusively licensed to Air2. He also holds two other aviation-related patents. Jonathan joined Air2 as a Pilot in October 1999, was promoted to Chief Pilot in June 2008 and Vice President of Operations in August 2011. Jonno has held a commercial pilot’s license for over 20 years and has 9,800 accident free flight hours. Of these flight hours, over 6,500 hours have been on power line projects. In the ten years prior to joining Air2, he was a flight instructor, corporate pilot and spent two years in the wildfire fighting sector. Jonno grew up in Malaysia and was educated at the Kings School in England. He is an avid ice climber and skydiver and holds a RYA Ocean Yachtmaster license. As Director of Maintenance, Russell is responsible for the maintenance and proper compliance for Air2’s fleet of nine MD500 helicopters. This includes insuring proper compliance with all FAR Regulations under Parts 91, 133 and 135 operations and maintenance scheduling. In addition, Russell manages 13 mechanics, maintaining their schedules, procedures and additional training. Prior to joining Air2, in 2011, Russell arrived with more than 15 years of experience working with MD 500 aircraft maintenance. Russell began his career serving 9 years in the US Army as a helicopter mechanic and crew chief, overseeing the maintenance of Med-A-Vac helicopters to supporting Operation Desert Storm. Russell is A&P Licensed (1997) and a member of HAI. David Brown joined Air2 in May of 2008 as an Airframe and Powerplant Mechanic. Prior to joining Air2, David served in the U.S. Army as a CH-47 (Chinook) Crew Chief in Camp Humphreys, South Korea, Fort Hood, TX and Fort Bragg, NC. After David’s tour of active duty, he applied his military experience to maintenance positions throughout Europe as a CH-47 technician before returning to the United States to work for Gulfstream business jets in Savannah, GA. While at Air2, David has worked in all aspects of the business beginning as an aircraft field and shop mechanic. Dave was then promoted to the position of Chief Maintenance Inspector for Air2’s expanding fleet of helicopters. After several years at that position, Dave took on the role of Assistant Director of Operations, where he assisted with the day to day logistical and operational aspects of our deployed crews. Following his operational management role, Dave moved into the position of Project Analyst where he determined feasibility and method applications for proposed new work opportunities. 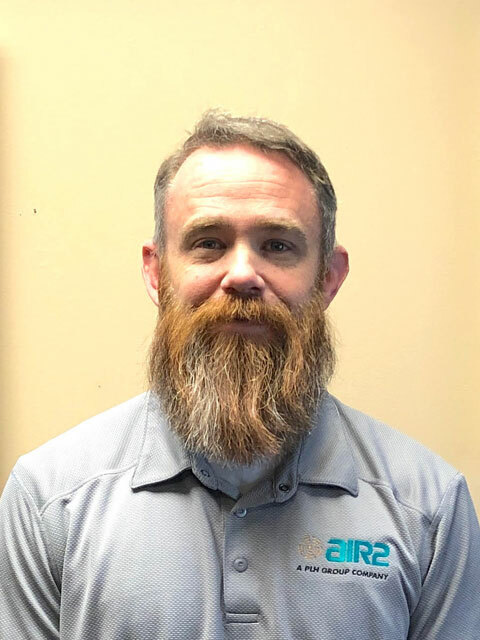 Dave was recently promoted to the position of Director of Safety and Training where his blended experience in all operational aspects of Air2 will better position the company for operational safety success. David holds the Certified Occupational Safety Specialist (COSS) designation and is an authorized OSHA Outreach Instructor in the construction field.